Lynx . . . somewhere (Colorado Parks and Willdlife). 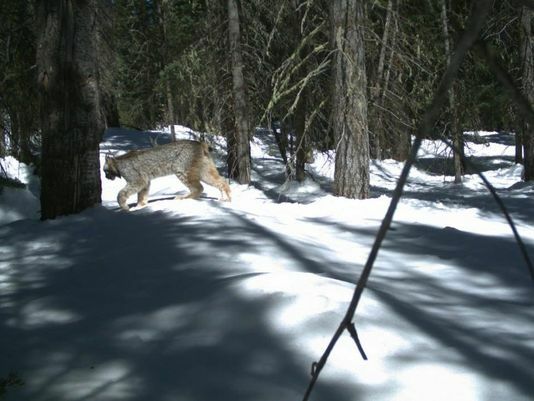 Colorado Parks and Wildlife releases some photos of lynxes taken with scout cameras. After reintroduction in the early 2000s, biologists believed that there was a vialble population by 2010. The current estimate is 200–300 lynx. If you see one, there is an online lynx-sighting form. They are not in the montane forest where I do most of my "camera-trapping," however, but mostly three or four thousand feet higher up.